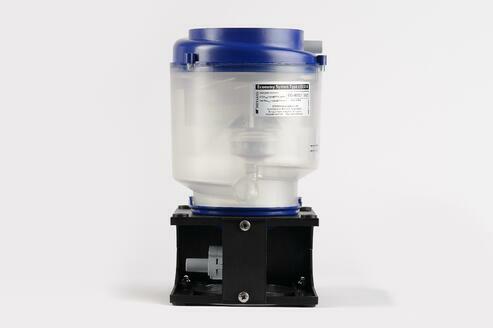 A quick guide to Amalgam Separators and Amalgam Recycling. The growing concern for the accumulation of mercury in fish and its environmental consequence has led some national and local agencies to come up with strict regulations of mercury in wastewater. When talking about mercury waste, dental offices have been identified as a major contributor of causing mercury waste (in the form of dental amalgam) environmental exposure. Recognized agencies have asked the dental practices to equip their work space with dental separators to reduce the amalgam discharge, beyond those achieved through chair side traps and vacuum filters (chair side traps and vacuum pump filters often remove 40-80% of amalgam particles). Before we discuss Amalgam separators and other best dental waste management practices, let’s have a look at some of the related regulations. According to this rule, the dental amalgam might be non-hazardous and gentle to consumers receiving it, the dental workers handling the liquid mercury have greater potential for exposure. Thus, the workers are entitled to protection under this standard, including the receipt of training and hazard information. Restricting the use of bleach or chlorine-containing cleaners that may give rise to the dissolution of solid mercury when cleaning chair-side traps and vacuum lines. ADA provides guidance to its members and the public regarding the management and disposal of dental waste. These include information regarding amalgam waste recycling, integration of BMPs (best management practices) into dental offices, recommendations for safe preparation and placement of amalgam restorations, advice on purchase, installation, and operation of amalgam separators. Some of the well-established dental management practices for amalgam waste handling and dental waste disposal are the use of chair-side traps, use of amalgam separators, regular inspection, cleaning of traps, and the use of appropriate commercial waste services to recycle/dispose of the collected amalgam. These are simple, non-mechanical devices fitted within the drainage system in dental practices to trap the dental amalgam waste and separate it from wastewater that can be safely discharged to the sewers. They work on the mechanism of sedimentation, filtration, centrifugation, or a combination of all. As mercury contamination is one of the biggest concerns to give rise to a United Nations convention, amalgam separators play a pivotal role in reducing the mercury pollution and offer a safer environment to both the patients and dental workers. The EPA considers that at least 99.0% of total mercury can be disposed of properly via an amalgam separator. Thus, every dentist should buy an ISO 11143-certified separator based on the nature of the dental office. The dentistry is also supposed to verify that their separator meets the 99% reduction figure, provided the manufacturer’s instructions are considered. The dentist is also supposed to conduct functionality inspections at least once a month. The amalgam separators, on continuous use, do fill up and lose their effectiveness, and can even lead to health hazards to the practice staff. This signifies the need of amalgam recycling. For effective recycling, you should stock the amalgam capsules in different sizes to reduce the amount of waste generated. Then, contact an amalgam waste recycler about any special requirements that might exist in your area regarding amalgam disposal. 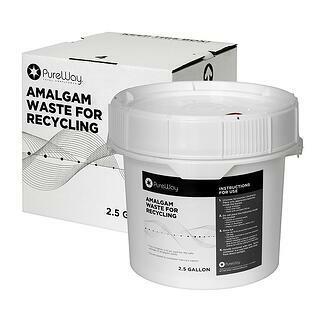 Store the dental amalgam waste in a covered plastic container labeled as ‘Amalgam for Recycling’ or as directed by the recycler. PureWay Compliance offers a comprehensive dental waste disposal and amalgam recycling services. It has a considerable experience in this field and thus, is the right choice for dental practitioners to safely and effectively manage their dental amalgam waste.